Yesterday was a good day for Minimus! We had a couple of meeting with local schools about Sustainable Education Programs for Spring 2018. We towed her off campus at Delaware Valley Unviversity (thanks to Dale Rimmer of Dale Rimmer Siding). And she got her final weigh in... and she is underweight!!!!!! Thank Goddess!!! Onward to educate and inspire more communities! Not to shabby for 7 work days! We are well on our way to learning, educating and living a more sustainable lifestyle! 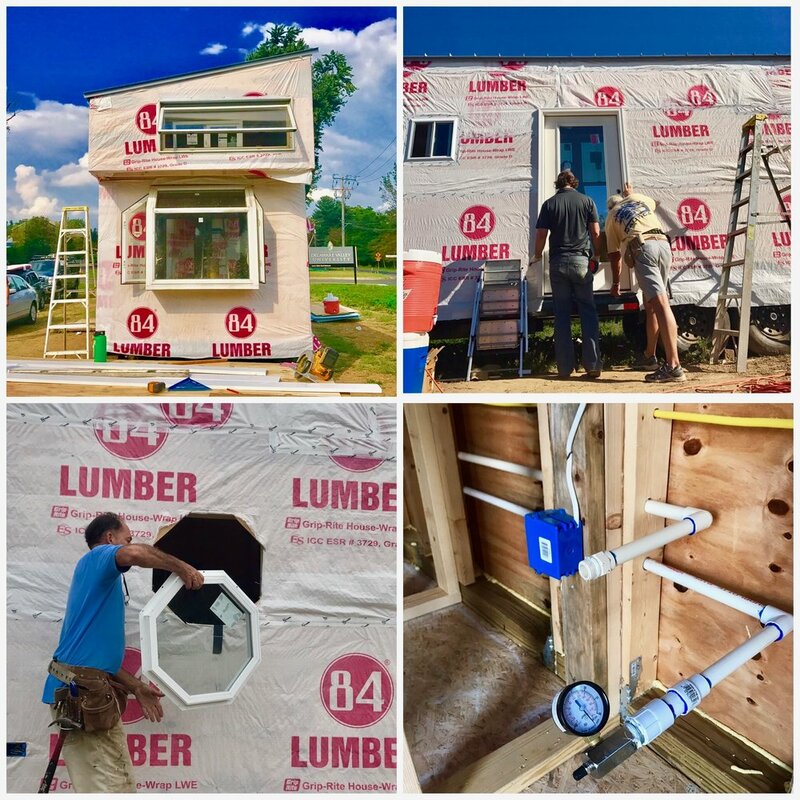 Minimus Tiny House Project is off to an incredible start. The Crew has been a bunch of busy worker bees the past 2 weekends. Along with our amazing work we are getting a tremendous amount of community support, interest and positive feedback. Come by and check it out at The Market at DelVal in Doylestown, PA or follow us on Facebook or Instagram!